This year’s National Chemistry Week (NCW) crime-based theme of “Solving Mysteries Through Chemistry” captured everyone’s interest! Our ChemClub is part of Prince of Peace, a K through 12 Catholic school on the Mississippi River, in Clinton, Iowa. With all grades located in the same building, the elementary students were able to come to the science lab for NCW. It was a chance for them to wear goggles and be crime detectives. They did tests with fiber, fingerprints, and blood. My students discovered that they like teaching! ACS recently developed a web seminar that took place September 15, 2016 on the NSTA Learning Center. The presenters were Erica Jacobsen, a chemical education consultant who develops materials for the American Chemical Society and Rachel Murillo, teacher of forensic science and anatomy/physiology at McBride High School in Long Beach, California. 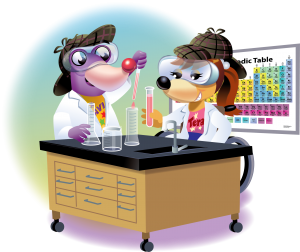 This web seminar is in support of this years celebration of National Chemistry Week (NCW) celebration and its theme of Solving Mysteries Through Chemistry. NCW is an annual event that connects American Chemical Society (ACS) members with their community, schools, and others to share the importance of chemistry in everyday life. The co-presenters shared resources useful for NCW, for integrating forensics into classroom curriculum, and for informal presentations to share science. ChemClub advisors will find ready-to-use demonstrations, lab investigations, videos, background information, and more. Although the resources presented focused on the middle school and high school levels, many can be adapted to earlier grade levels. View the web seminar at the NSTA webinar archive site.To view the presentation slides from the web seminar and related resources, visit the NSTA resource collection. National Chemistry Week is always an excellent chance to celebrate chemistry and help demonstrate to students and others the relevance of chemistry in our everyday lives. 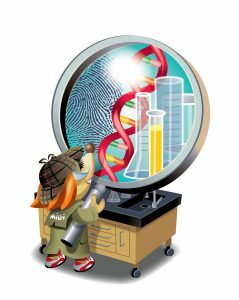 This year’s theme for NCW is Solving Mysteries Through Chemistry, and I am particularly excited about the opportunities this presents for teaching some fundamental concepts about how we do science. Crime shows that feature forensic science are very popular on television right now. This helps ensure interest on the part of students to learn some of the basics of how chemistry is used to solve mysteries. The answer to how does chemistry help solve a mystery is very simple. It is through the application of scientific inquiry. 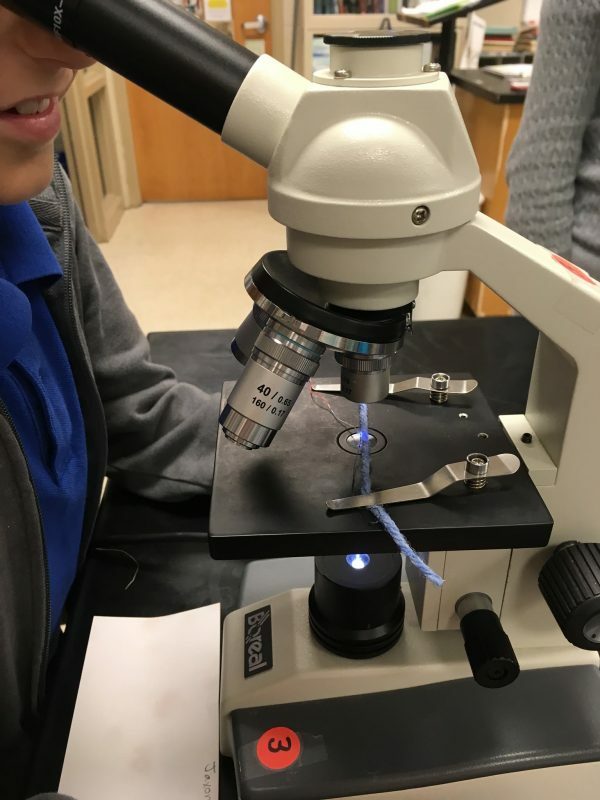 During the month of March, members of the ChemClub in our school, Thomas Armstrong Toro High School, in Ponce, Puerto Rico, arranged a school-wide activity that involved solving four completely different and intriguing make-believe murders. However, these crime scenes were no ordinary ones. No, our ChemClub members took it into their own hands to involve as much chemistry in the activity as possible. Members of the club creating the activity left clues at each crime scene involving different aspects of chemistry, from decoding messages with the periodic table to having to analyze evidence. 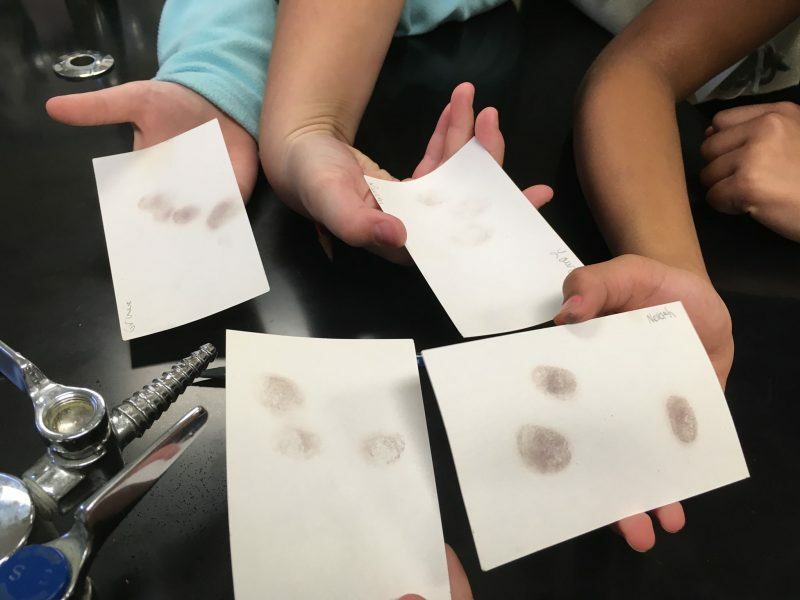 The Club focused primarily on using different methods of crime scene investigation and employed mainly fingerprint and ink chromatography methods to solve the mysteries. Before the whole activity took place, the president of our ChemClub, along with a few other members, led a series of classes discussing these same topics and the science behind them. During the day of the activity, many students, both members and non-members, participated. They investigated the four crime scenes arranged by the ChemClub. Each crime scene took place in a different corner of our basketball court. In the middle of the gym we placed two sets of tables, one for handing in all evidence after analysis, and another for doing experiments involving the evidence. At the experiment table members of the ChemClub guided students through ink chromatography and finger printing techniques using graphite. Students of all grades were involved, working in groups of two to four. The activity was a huge success. The so-called murderers were caught, even though they had managed to haze students by the dozen. 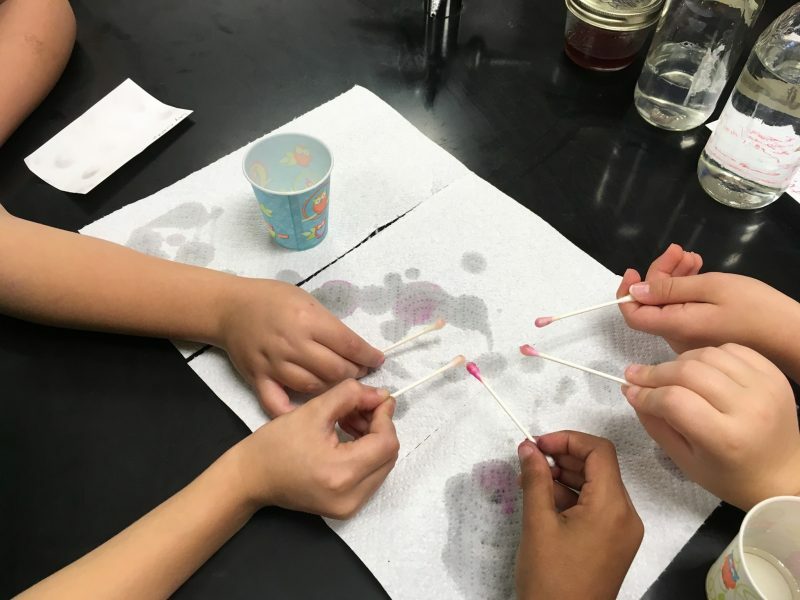 From periodic tables to observing ink color chromatographs, the ChemClub in our school conducted a grand activity this month, which was both entertaining and educational. And in the end, justice prevailed!